Digital Storm has this week taken the wraps of a new gaming notebook in the form of the Digital Storm Veloce that will soon be available to purchase for $1,535 directly from the Digital Storm website. The new Digital Storm Veloce is fitted with a 13.3-inch backlit screen sporting a resolution of 1920 x 1080 pixels and powered by a Core i7 4880MQ quad-core processor that can be over clocked to an impressive 3.7 GHz. Graphics on the Digital Storm Veloce gaming notebook are provided by a Nvidia GeForce GTX 765M GPU with 2 GB of dedicated video memory, and up to 8GB of 1600 MHz DDR3 RAM can be squeezed into the system. Other features of the Digital Storm Veloce gaming notebook include a 750 GB of hybrid storage featuring an 8GB solid state disk (SSD) for quick reboots and application loading. As well as 3 x USB 3.0 ports, Gigabit Ethernet and both HDMI 1.4 and VGA-out. 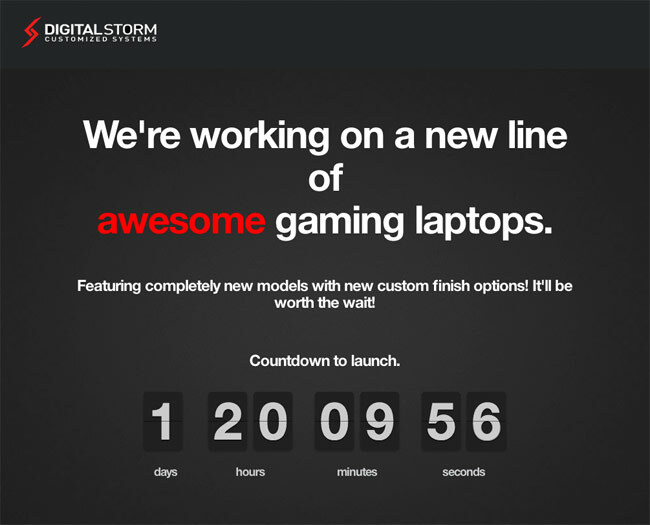 The Digital Storm Veloce gaming notebook will be available to purchase directly from Digital Storm from July 17th 2013.